“I have been rejuvenated all over." 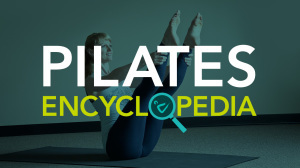 "Before Pilates, I wasn't very strong and felt as though I was aging quickly. I was dealing with a leg that couldn't flex because of an infection and I wasn't able to do the things I normally did. My knees were garbage because there is no cartilage and I just felt that I was getting old. Pilates has truly saved my life. I know this sounds a little dramatic but now I feel like I have bought back some years because I'm so much stronger. My husband and I took a one week bike trip to Europe a couple of years ago and I would not have been able to do that if I had not done Pilates.